The newest entrant from NVIDIA stacks up between last year’s GTX 1070 and 1080 GPUs and will be going up against AMD’s Vega 56 GPU. The 1070 Ti from various partner manufacturers has been listed online with prices starting from Rs. 42,000. After months of rumors and leaks, NVIDIA’s GeForce GTX 1070 Ti is now official. The newest GPU from the company stacks up between last year’s GTX 1070 and the GTX 1080. In the US, the classic blower style Founder’s edition version of the GPU has been priced at $449. In India the Founder’s Edition will be priced at Rs 39,000. 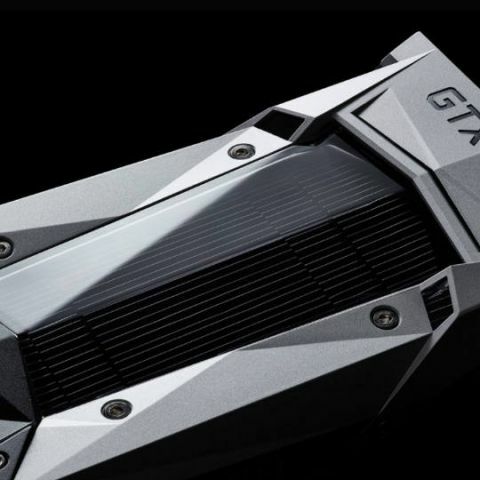 Apart from the Founder’s edition, NVIDIA partners such as Asus, Gigabyte, MSI, Zotac, Palit, Galax, PNY, and Inno3D will be launching their respective versions of the GPU at launch day. Many e-retailers have already listed the GPU for pre-order in India with prices starting around Rs 42,000. Nvidia says that the GPU will be available next week from November 2 in 283 countries including India. The new GPU will compete against AMD’s new Vega 56 GPU which by official is priced at $399, but thanks to cryptocurrency mining, it is currently selling for around $450 - $460. The new GTX 1070 Ti uses the same GPU design, the GP104 as used by the GTX 1080. However, it uses a newer, but inferior GP104-300 processor instead of the GP104-400 used by the GTX 1080. On paper however, the difference in core counts of the two GPU is quite minor. While the GTX 1080 has 2560 Cuda cores, the new GTX 1070 Ti features 2432 Cuda cores. Interestingly, the base clock for both the GPUs is the same at 1607 MHz, although the boost clock of the GTX 1070 Ti is a bit lower at 1683 MHz. Like the GTX 1070, the new GTX 1070 Ti also uses an 8GB DDR5 vRAM. However, the memory bus has now been upped from 128-bit to 256-bit. The GTX 1070 Ti will require a 8-pin power connector from the PSU and the TDP of the GPU is rated at 180W. Going by the specifications, it should be more than enough to handle 2K gaming. Although if required, it will support 2-way SLI. On NVIDIA reference design (Founder’s edition), you get one DVI port, one HDMI port and three DisplayPorts. However, these ports may differ on cards from NVIDIA partners. Also, the company also shunned rumours of un-overclockability of the new GTX 1070 Ti and the ability to overclock remains available. Light at the top, this odd looking creature lives under the heavy medication of video games. Which laptop graphic card is better between the two: 2GB nVidia GeForce GT740M vs 2GB nVidia GeForce 830M? Can i install Rx 460 or Gtx 1050 Ti in my Acer Veriton M2610 Motherboard? Can I run the Nvidia gtx 170 with my currrent specs?? ?